CAREC Co.,ltd | Supply the parts of the Japanese car. CAREC is exporting used auto parts towards every country in order to supply the parts of the Japanese car that has been used in all over the world. 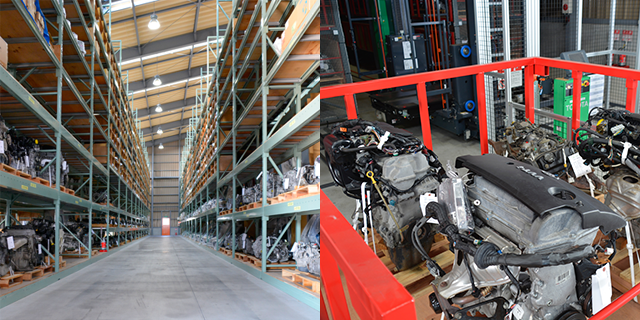 CAREC will follow Customer’s needs and will export the parts safely and reliably. In consideration of environment, all parts are removed by manual operation. After that, they are washed well. Our used parts are all finishing quality inspection and are stocked for every part, such as a vehicle type, a model, and a color. Furthermore, any parts can be found with the on-line system of JARA affiliation. We satisfy overseas customer’s request; such as demands of used parts for Japanese car. If you have any questions, please feel free to contact us. TOYOTA　LEXUS　NISSAN　HONDA　MITSUBISHI　MAZDA　SUBARU　SUZUKI　DAIHATSU　KOMATSU　TOYOTAL&F　etc. © Carec Co.,Ltd. All rights reserved.